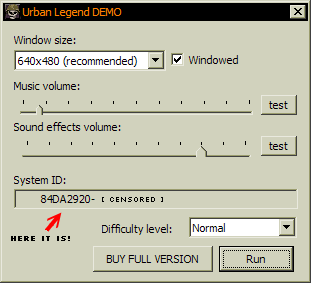 Urban Legend - Buy now! Full version of the Urban Legend has over unique 30 levels, lots of cool weapons, additional music tracks and complete story line with the shocking end. Support indie games, buy Urban Legend now. $19.95 is the price of the full version of the game. To register you need to know your system ID.